The day of the tidal wave. The night of the tidal wave. From the final tidal wave. 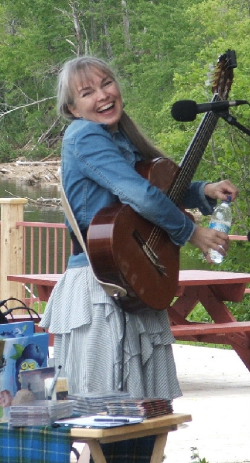 Rosalee Peppard writes and sings about women’s Maritime Canada history by conducting oral history interviews, transcribing them, then writing songs about them. Her most recent CD is Living Titanic: A Musical Memoir of Nova Scotia’s Only Survivor, Hilda Mary Slater Lacon (2012). She grew up in Truro, NS, where she sang and danced with her mother to her grandfather’s fiddle accompaniment. She studied music and English at Mount Allison University, and did graduate studies at the Banff School of Fine Arts and University of Toronto.